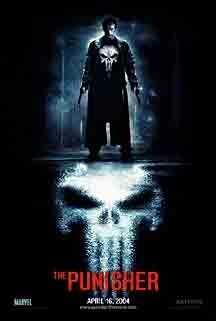 I have never read the comics, but based on this movie, I am truly a Punisher fan. He is cool and effective and goes straight to the point - getting revenge. The idea of his looser neighbours after becoming The Punisher and moving into the broken apartment is a bit on the weak side. They are sort of a comic relief in a sombre and serous movie. Personally I think that this is what pulls the movie down a bit. Travolta does a good job playing the bad guy and Thomas Jane is also a fairly good Punisher. For Marvel super hero fans, this is one to watch!